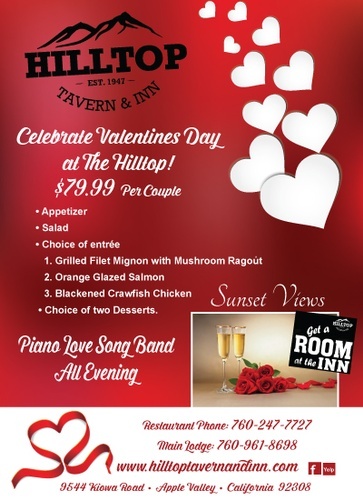 Celebrate Valentines Day at Hilltop! Name: Celebrate Valentines Day at Hilltop! Live Love Song band all evening!